The Diocese of Lake Charles keeps a sensible, transparent and balanced budget. 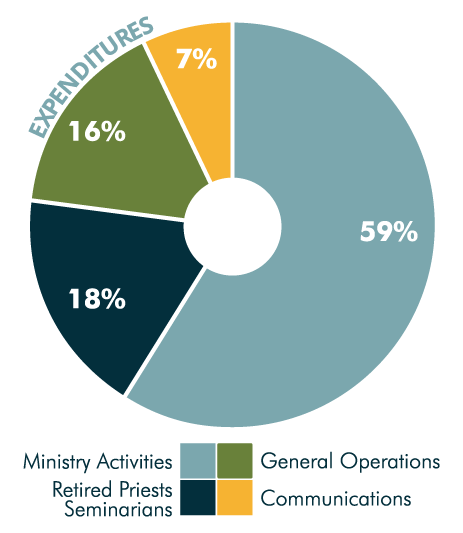 As stewards of a nearly $6.8 million operating budget, the diocese is just able to fund its ongoing missions and obligations. 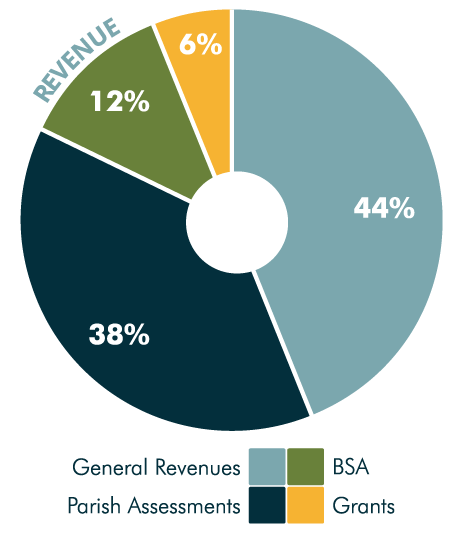 However, given that revenue the diocese receives is already earmarked each year, it is difficult for the diocese to invest in needed strategic priorities without an extraordinary effort. The goals of this campaign would take decades, if ever, to complete within the regular budget process. That is why your extraordinary support is needed. You can be confident that all funds the diocese receives, whether through the BSA, Return to the Lord Capital Campaign or any other gifts, will be used prudently and effectively as the diocese has an independent party conduct annual audits.